American furniture producer Emeco is launching in Courtrai Biennale Interieur (20th to 28th october) a new collection together with the French iconic designer Jean Nouvel. This chair is special because it intimately embraces the body. But compared to my girlfriend, it is just So-So, says Nouvel. 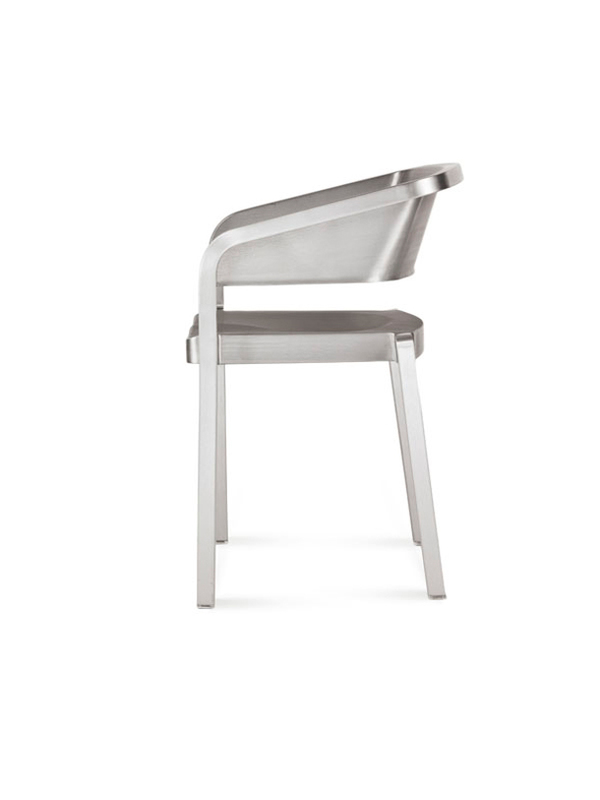 The So-So collection, include chairs and stools made of 80% recycled aluminum, reclaiming both post-industrial and post-consumer waste. The chairs and stools are lightweight and durable, all handmade in the factory in Pennsylvania, USA, using the same process as the famous Navy chairs from 1944. 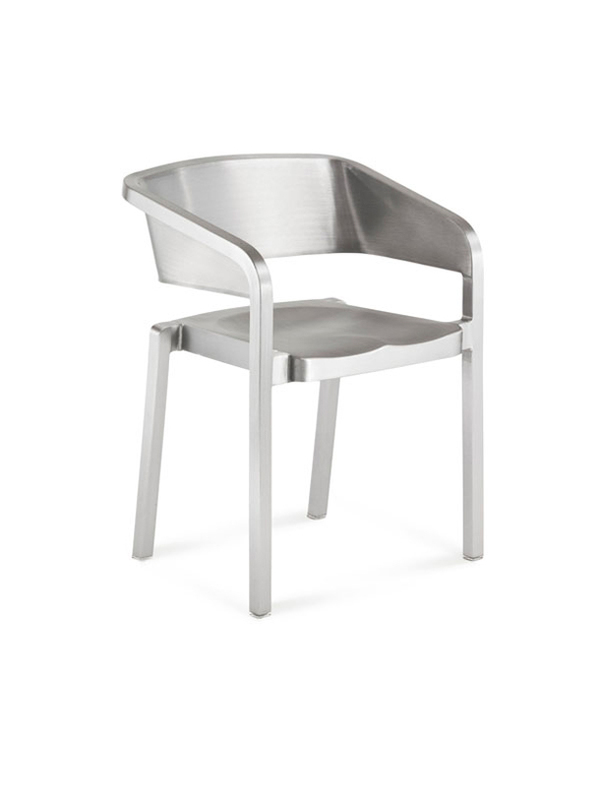 I just kept the same DNA and evolved it into a new light and comfortable chair, Jean Nouvel said at the preview launch. 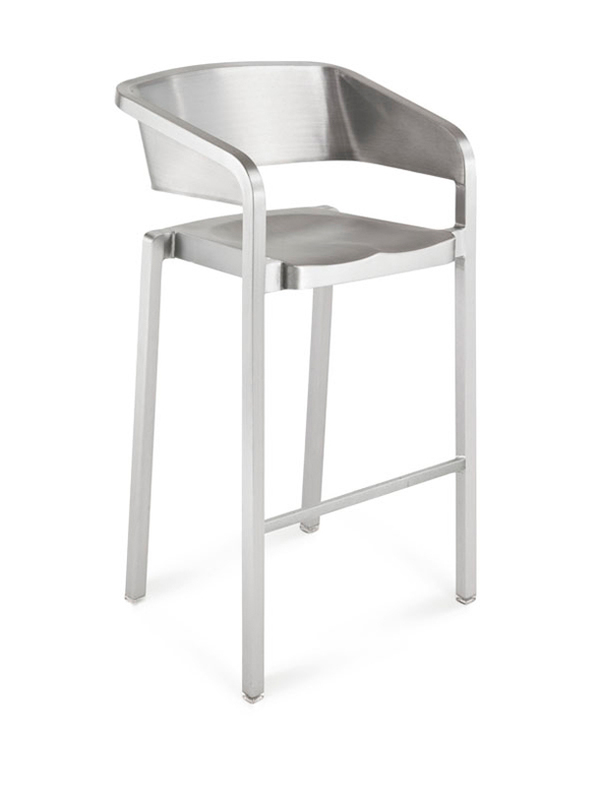 Jean Nouvel has really managed to take the back bone of Emeco and leverage a new vocabulary,” says Emeco’s CEO, Gregg Buchbinder. Together Emeco and Jean Nouvel have highlighted the sustainable philosophy of using what others discard to make something beautiful and long lasting.